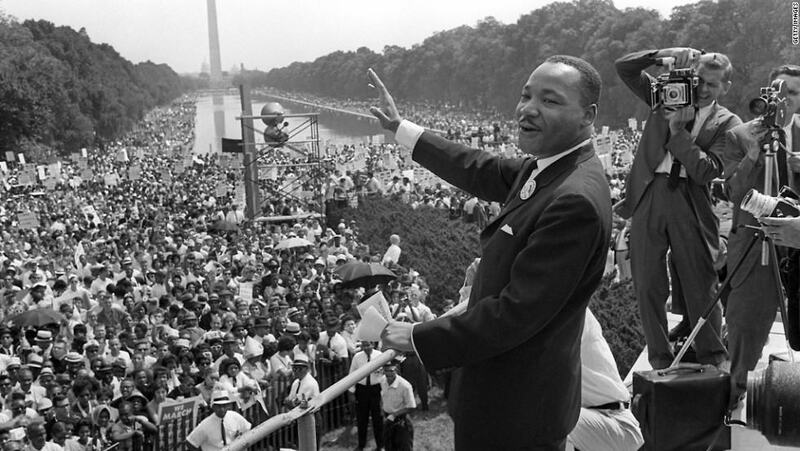 This week, the country honored the legacy of Martin Luther King Jr., an American Baptist minister and activist who embodied the Civil Rights movement until his assassination in 1968. In honor of his great legacy advocating for social justice, this is the perfect time to evaluate how the social sector is doing in supporting racial equity through our internal policies and practices. One of my favorite quotes from Dr. King is: “The ultimate measure of a man is not where he stands in moments of comfort and convenience, but where he stands at times of challenge and controversy.” It begs the question of us all – are we using our position, power and privilege to ensure equity in our teams, organizations and communities? Are we asking enough of ourselves? Are we challenging our current mindset to ensure that our actions reflect our commitment to equity? I agree with many social justice experts that when racial equity is not consciously addressed, it is often unconsciously repeated. As institutions charged with seeking the public’s interest, we need to change our mindset and pressure-test what we do – from how we select which clients receive what services to the criteria we use to recruit and promote employees and board members – to ensure we live up to our highest ideals and keep the public trust. In this post, we will break down the issue and provide useful tools and examples to help your organization move toward greater equity. As agencies in the social sector, it can be easy to think that because we serve diverse clients that we are free of racism, but racial diversity does not necessarily equate to racial equity. Today, racism is not usually overt, but as we know, it affects both our clients and employees in covert, often unconscious, ways. Studies have shown how people of color are denied help, housing and credit. Even some of the most progressive institutions on the forefront of racial justice – universities – are susceptible to unequal treatment of minorities. As social sector leaders, we must take action to ensure that we are not silently condoning institutional racism. Racism has led to discrimination and inequities, which, as we discussed in our New Year’s post on mindset, is the part of the iceberg we can see and hopefully fix. But, racism has also led to many issues below the surface that we haven’t yet addressed or fully healed. Nothing made this more clear to me than when a good friend and mentor shared an example of unconscious bias derailing a project in Detroit. In a nutshell, a well-intentioned group, The Greening of Detroit, worked with the City of Detroit to plant trees. The group met resistance in many communities of color. But why? The article does a masterful job of looking at the iceberg underneath the surface. Perplexed by the high number of rejections for an otherwise valuable service, a researcher dug deeper and discovered that residents had nothing against the trees, but they mistrusted the City. To make matters worse, they were never asked if they wanted the trees. Even after many years working in the social sector, I was surprised by this article, and it dawned on me that we haven’t dug deep enough. Many of our interventions are doomed to fail because we haven’t done the most important thing – build trust. I challenge you to share this article at your next leadership or staff meeting and have a real conversation about your programs and whether or not these issues (and more) may be present in the community you serve. Research – REIA recommends establishing a solid baseline of where the organization stands through internal and external market research. For example, REIA can be used to evaluate promotion practices in your agency. The assessment’s initial steps recommend that you look at your data, such as the current representation of people of color in upper management compared to the breakdown of candidates who apply. These figures can be compared to national studies of diversity in the nonprofit workforce to provide additional context. Scenario Analysis – Steps 6 through 8 of REIA help you analyze the impact of current policies or practices and their alternatives on racial equity. This part of the process assesses who is helped or hurt by policy alternatives and how negative impacts can be mitigated. Organizations can use scenario analysis to play out what the consequences would be for changing promotion criteria or performance evaluation rubrics and assess which tools are most free from bias. Impact Measurement – Lastly, REIA supports developing a plan to measure the success or failure of any policy or program an organization implements. For example, when changing promotion practices, an organization should measure changes in candidates applying, improvements in performance and changes in the composition of upper management. Setting target outcomes for new policies is important to accurately gauge whether or not the policy is helping the organization achieve equity. Equity is a basic human right; everyone benefits from equity. Action is a proactive strategy and response to hate; we are willing to challenge injustice and untruths at play in society today. The system we operate in contributes to inequity; we strive to understand the role our system plays in perpetuating oppression, and to address the dynamics that support it. We value and engage all voices in this conversation. We are especially committed to incorporating and elevating the voice of lived experience. Again, this work is hard and will take time, but I applaud the Alliance for being bold and confronting the issue head-on. Tackling issues of race can be uncomfortable, but the social sector needs to be proactive about pursuing racial equity for our clients, employees and board members. This requires us to take a look at how we are really doing and consider that there may be unintended ways we discriminate against certain groups through seemingly benign policies. We invite you to share your thoughts on equity and how you have successfully fought for equity in your agencies as we all build a better world together. Great post Suzanne! Our organization was able to get a to racial equity training for staff. Knowing the majority of our volunteers and staff that work with our majority minority students are white, I thought it important to address racial bias. I’ve noticed our white students are often placed in higher level classes than minorities and also most of our volunteers are affluent white folks and the baggage that brings. Our staff was able to engage in a much needed conversation about bias that we had never discussed before. While not perfect, it’s a great starting part to a journey that I recommend all organizations travel down. A useful tool for “white privileged white people” to confronting racism is the recently released book by Debbie Irving, “Waking Up White and Finding Myself in the Story of Race”. It even contains workbook-like “exercises” throughout the book – that helps the reader hold up a personal mirror to white privilege. The book makes “real”, for white people, the meaning of the song, “You’ve Got to Be Carefully Taught” (South Pacific).